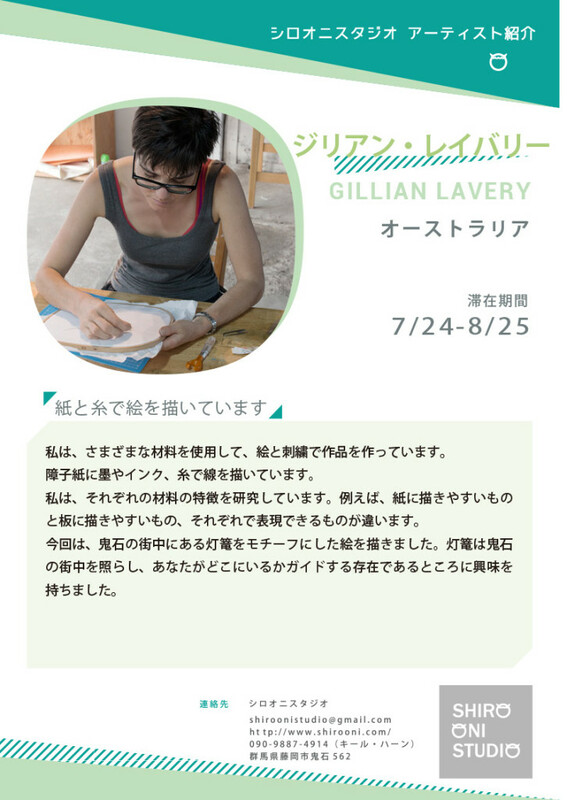 Gillian Lavery’s project in Onishi was inspired by the paper lanterns that litter the town. Initially uncertain of their use or meaning Lavery took to drawing the lanterns using a blind continuous line drawing technique. This approach allows a focused drawing period that emphasizes time and place above the act of representation. The repeated periods of drawing the lanterns have enabled her to navigate the town and gain a level of familiarity in a place of so many new and different things. These initial drawings were then developed into paper cuts outs, stitched drawings and multiple paper collages that have a map-like quality.